This month LM Hurley & Associates Executive Recruiting and Consulting celebrates two decades of providing excellence in recruiting for the Senior Living Industry. 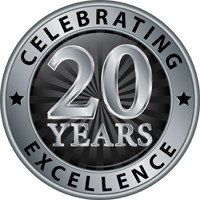 San Diego, CA, April 2, 2019 - This month LM Hurley & Associates Executive Recruiting and Consulting celebrates two decades of providing excellence in recruiting for the Senior Living Industry. Twenty years ago LM Hurley & Associates Executive Recruiting and Consulting was founded by Lauren Hurley to provide executive recruiting services exclusively to the Senior Housing Sector. The company was built on quality service by forming partnerships with clients for successful and efficient solutions to talent acquisition challenges. Creativity, flexibility, resources, and experience have resulted in making LM Hurley & Associates Executive Recruiting one of the most successful recruiting providers in the industry. The strong partnerships developed by LM Hurley & Associates Executive Recruiting have resulted in a thorough understanding of the needs of client organizations as well as an in-depth knowledge of their corporate culture. Professionalism, diligence, ethics, and integrity are the hallmarks of each search and staffing process. Principles of LM Hurley & Associates Executive Recruiting are Lauren Hurley and Frank Duncan. Lauren Hurley and Frank Duncan have completed an approved 40 hour Administrator Certification course and have passed the state exam required to become an RCFE (Residential Care Facility for the Elderly), Administrator. Certification has enabled them to provide clients additional value in executive search service. The RCFE certification has served to widen industry expertise and understanding of client’s needs and the seniors they serve. Founder, Lauren Hurley is native of Massachusetts. She moved to San Diego in 1988 and holds a bachelors degree in Business Administration from San Diego State University. Lauren started as a recruiter for a generalist firm where she specialized in the Investment Industry. She headed up a new recruiting division and successfully placed senior level executives on a national scale after being recruited as a Vice President for a national career counseling and outplacement firm. Lauren also was an on-site Recruiting Consultant for The Anthony Robbins Company. Lauren has received numerous honors based on her achievements as a top performer and was awarded a national recruiting firm's coveted Outstanding Recruiter of the Year Award several times during her tenure. Lauren has personal experience working with her father to find assisted living and memory care for both him and her mother. She did extensive research and interviewed numerous senior housing communities for her parents as well as for family members and friends. Her experience has made her the go-to person for her family, friends, and neighbors when their loved ones need senior care. After these personal experiences with her Mother’s Alzheimer’s disease and her Father’s need for extensive care, Lauren felt passionate about the care of all seniors. As a result, LM Hurley & Associates Executive Recruiting was formed by Lauren to create an executive search firm she envisioned would offer a specialized service to her clients and candidates. She saw a need within the Senior Housing Industry to find the best candidates who are also professional and passionate about the care of seniors. LM Hurley & Associates is a national Executive Search firm with over 40 years of combined recruiting experience, dedicated exclusively to the Senior Housing sector. It recruits high caliber corporate candidates ranging from President, CEO and Regional VP, to Executive Directors or Administrators at the facility level. The firm recruits across the full spectrum of senior housing including Independent Living, Assisted Living, Alzheimer’s Facilities, Continuing Care Retirement Communities (CCRCs), Skilled Nursing Facilities, Hospice, and Home Healthcare. Clients include large public corporations, privately held companies, and not-for-profit organizations. For additional information on the company please visit www.LMHurley.com. 1. What is one misconception people have about you? The magic lies within the brutally honest responses that follow. This question is designed for the applicant to paint you a picture of what they are not. The reality is that there seldom are any misconceptions. Other people’s perceptions of someone are usually pretty accurate as they are formed on observed behavior and actions witnessed. Furthermore, candidates are generally honest in their responses, because, after all, they are describing perceptions that they think are not true. 2. What is a development area, a deficit, or a gap that you’ve had to overcome or improve in your career? How was that identified, and what did you do to improve? It offers a chance to learn how someone deals with self-realization, self-actualization, and potentially how they overcome obstacles or adversity. 3. When have you experienced stellar customer service, and how did that change how you deal with customers? This question is a great way to see how candidates define “stellar customer service” — not just as they experience it, but also in the service they expect themselves to provide. 4. If you we’re sitting here a year from now celebrating what a great 12 months its been for you in this role, what did we achieve together? This will show how much research they put into both the company and the role they are applying for. Being able to describe what you will do for the business confidentially shows much enthusiasm. This type of question is asked to see how well they think on their feet and if they can be creative. These kinds of questions are also used to see if a candidate has a good sense of humor, a very desirable trait when you have to work with someone 5 days a week. 6. Tell me something about yourself that others may be surprised to know about you. This question is an opportunity to learn something exciting and real about a candidate that might otherwise not come up in a standard interview. 7. Describe your favorite supervisor and your least favorite supervisor – and why. This allows some fast insight into how the candidate likes to be communicated with and managed, as well as some revelations into overall attitude and maturity. 8. What was the best thing about your last job? Answering this question requires candidates to assign a value to an experience they had in their last job. What they choose can tell you a lot about who they are as a person and what kind of new job is going to make them happy. It will also allow you to assess whether or not this job is likely to have any of those attributes in common. You are looking for candidates who loved something about their last job that they can also like about the new job–similar tasks and goals, overlapping client or industry base, a comparable team dynamic, etc. 9. What did you like least about your former job? Candidates will have the chance to trash their former employers or take the high road, and which option they choose will reveal a lot about how they will approach their work at your company. Even if a candidate is coming from the worst job in the world, a prospective hire with poise and a positive attitude will be able to answer this question productively and highlight either their understanding of complex problems within the industry or their ability to overcome challenges. Candidates without those skills will take the opportunity to throw their employer, coworkers, or customers under the bus, and you’re better off knowing that before you hire them. 10. 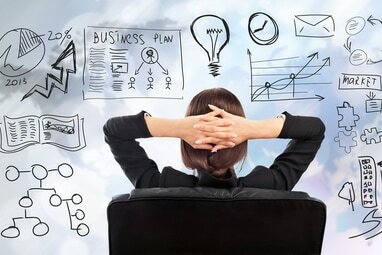 Based on what you know about your company/department/team, what changes would you make if you were in charge? Top performers likely have the skills, drive, and ability to help drive your business forward. They may also be able to pick up on inefficiencies, potential issues, and problems that could be holding your business back. Moreover, for someone whom you might hire for a leadership position, you need to be able to determine if he or she has the skills to identify and solve real problems. 11. What is your least favorite thing about humanity? It’s a great way to change the pace of an interview completely and make a candidate really think. While it is an odd question to ask in an interview, it can yield brilliant, really insightful responses. It forces a candidate to show you a little of their personality and present a reasoned response to a very valid question that sits way outside the traditional comfort zone. 12 What did you do to prepare for this meeting today? The candidate prepared for the interview can indicate a lot not only about his or her interest in the job, but about how this person operates as a professional. If a candidate can share only platitudes about his or her preparation for something as important as a job interview, that speaks volumes about how this person will prepare for important tasks, meetings, roles, etc. when he or she has the job. 13. Before you came in, I looked at the mission and vision from your current (or past) company. What is it in your own words? Asking a candidate about the mission and vision from their current or most recent employer can provide a few insights into your potential candidate. First, do they even know the answer? Second, if they do, are they able to relate what the company does to that mission and vision, showing big-picture thinking? 14. You walk into your office and have 50 emails and 14 voicemails before your day has even started, all with different urgent requests. What do you do? This way, you get to hear how they think about the problem from top to bottom. 15. What blogs and resources do you follow online to keep up with the industry? I like to understand if they are keeping up to date with the leading resources online to know what is happening in the Senior Living Industry.